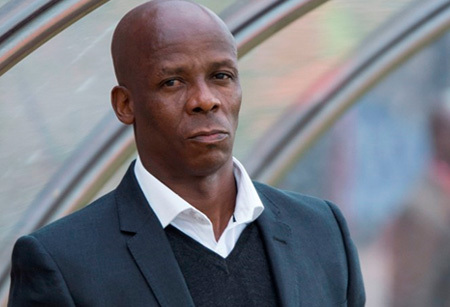 Maritzburg United coach Mandla Ncikazi had to watch as his side conceded two relatively soft goals and then failed to take their chances in the 2-0 loss to Bloemfontein Celtic. A couple of moments of loss of concentration at the Harry Gwala Stadium saw Celtic scoring twice in five minutes before the interval. And while the Team of Choice came back strongly in the second half, they were unable to find a way to goal as the visiting side defended resolutely, on one occasion clearing the ball off the line after Mohammed Anas looked set to score. “I thought we were in control of the match. They were sitting in the blocks, sitting very deep, because they wanted to go on the counter. “Two counter attacks. We failed again to defend the near post, on the first goal. Second goal we wanted to stop them from crossing because we know they are a crossing team. Failure to deal with the cross, fail to deal with defending the near post. If you concede like this at home, you really do not deserve to win,” Ncikazi said after the game. Up until the two goals conceded, and indeed also in the second half, Maritzburg looked comfortable, but were just not able to find any kind of advantage to drive home. “I thought that at the point when the score was still 0-0 - I thought we were in control,” said Ncikazi. “But then second half we tried to change it around, bring two strikers, wanted to go wide, but we did not go as wide as we wanted.